Globell, a software distributor and the company behind Meyer-Optik Gorlitz lenses, has announced it plans to introduce a new screen calibration device if it gets enough support from the Kickstarter campaign it has just begun. 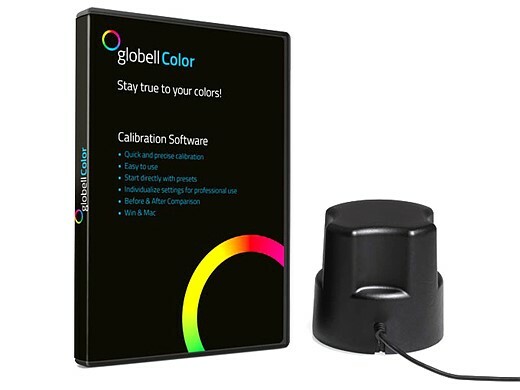 The company claims its proposed globellColorMeter can calibrate almost any computer monitor in three steps that take less than five minutes, and that the device will remain accurate for years. The meter uses a lens developed with Meyer-Optik and a glass cover that won’t dis-color, according to Globell. Designed and built in Germany, the company says its device offers an alternative to calibration systems that are ‘technically ambitious but complicated and expensive to use‘ or ‘easy to use and affordable, but unable to function at a sufficiently high standard‘. Globell describes the globellColor, which comes with software for PC and Mac, as ‘affordable‘ and ‘the most precise, easy-to-use product in its price range‘. The company expects the product to retail at $250, but is offering early-bird deals from $99. For more information see the Kickstarter page. Color management made in Germany: leading color management company Globell is launching a Kickstarter project for its new globellColor product range at www.globell.com/kickstarter. Tegelen, July 2016 – Natural colors on all monitors and in printed photos: the globellColor product range makes color management simpler, better and faster. In order to get the word out to an international audience, Globell has started a worldwide Kickstarter campaign at www.globell.com/kickstarter. This Globell solution is 100% made in Germany and delivers accurate calibration for all major monitor types and other display devices for both Mac and Windows. This benefits private users, photographers, design agencies and gamers. globellColor is affordable for everyone, easy to use and delivers professional quality calibration. To ensure this, the company developed its own colorimeter based on the latest technology and drew on expert knowledge and the optical expertise of lens specialists Meyer-Optik-Görlitz. The durable glass filter of the globellColorMeter will always provide accurate and consistently correct calibration and profiling – even after several years of use. The solution also includes powerful and user-friendly software for both Windows and Mac. The Kickstarter campaign launches today (July 13, 2016) and ends on August 14, 2016. Supporters have the unique opportunity to acquire the innovative globellColor technology at an exceptionally low price starting at $99, with the RRP expected to be $249. After the products are delivered to campaign supporters this fall, they will be launched on the market.